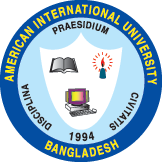 On 4th August 2018, IEEE AIUB Student Branch successfully organized IEEE Student Professional Awareness Workshop (SPAW), at American International University – Bangladesh. 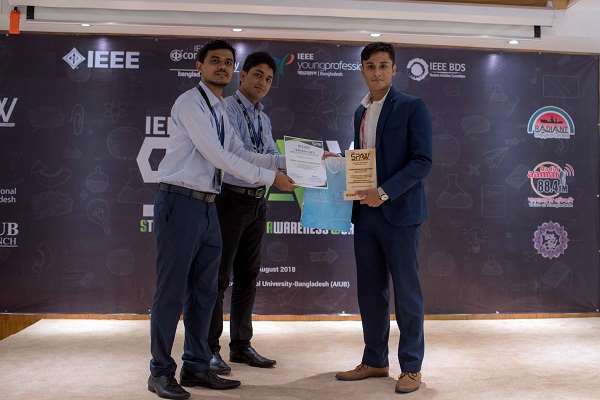 IEEE USA Student Professional Awareness Activities (SPAA) are oriented to enhance the leadership, career, and professional development skills of engineering students. 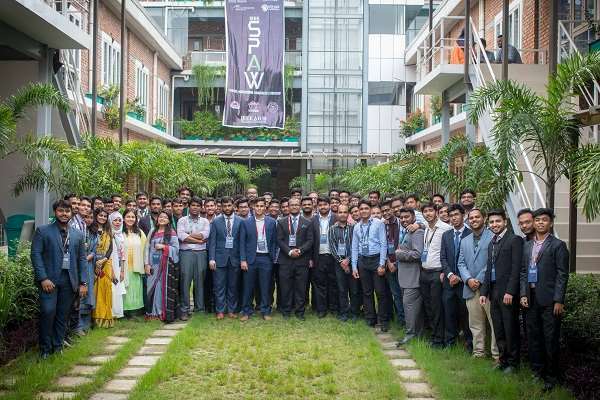 Being a part of the grand initiative for the first time in the history of IEEE Bangladesh Section along with the entire Region 10, IEEE AIUB Student Branch presented IEEE Student Professional Awareness Workshop (SPAW) to educate students on how to sustain a lifelong career in engineering. 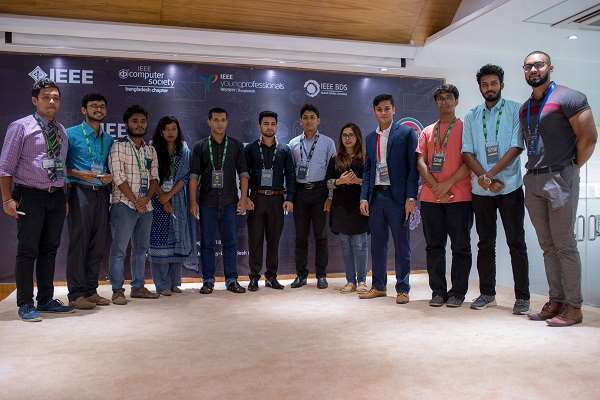 The IEEE USA branded venture was supported by IEEE Bangladesh Section Student Activities Committee, IEEE Young Professionals Bangladesh Section and IEEE Computer Society Bangladesh Section Chapter. 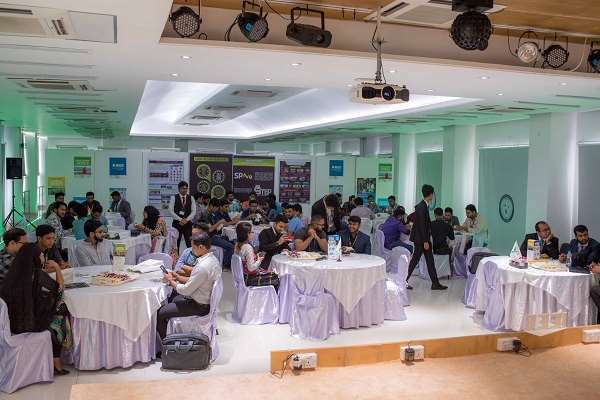 The flagship event consisted of series of professional and career-based workshops focused on professional development, conducting plenary talks on timely topics and allowing students to understand the ever-changing professional world and also developing skills that would not be taught in classrooms needed to pursue a career as an exemplary individual. 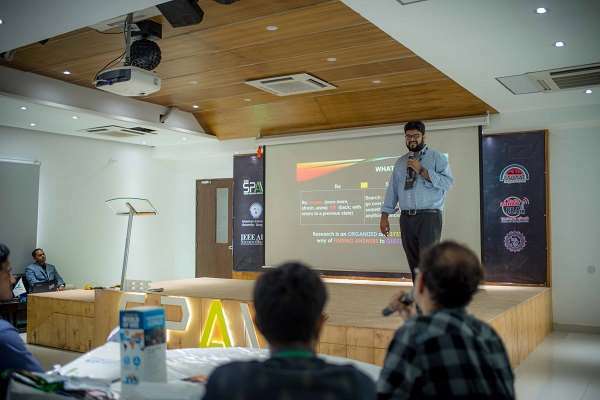 The first session of the event titled “What does it take to be a researcher?” was conducted by Dr. M Tanseer Ali, Professional Activity Coordinator, IEEE Bangladesh Section; Senior Assistant Professor, Faculty of Engineering, AIUB, which focused on the core essential qualities for a student to be a researcher. The speaker initiated his presentation with an interactive session along with discussing the importance of engineers in this world. He discussed the ease of work due to the advent of the internet and talked about how problem-solving plays an important role in the field. He further stated the basic steps for conducting a research and also said motivation and reasoning to be the most essential factors in carrying out a research. He concluded the session by stating the key role of the engineers which is to serve the society and not to only make money. It was then followed by a quick question and answer session. The day-long professional venture ended with a group photo. The event was consisted of very effective and informative sessions which the participants were delighted with, as it will help them in professional development. 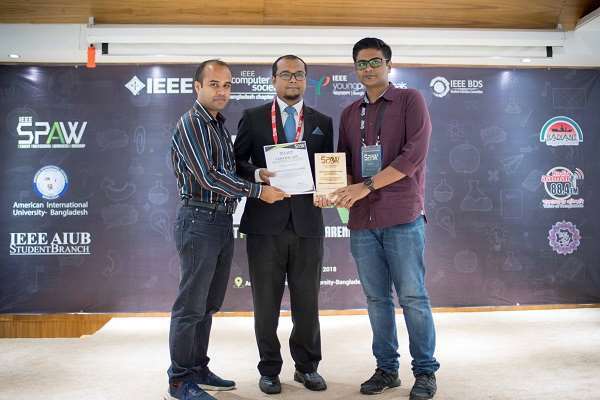 Participants from universities all across Bangladesh took part in one of the grandest ventures in IEEE Bangladesh Section and IEEE Region 10.